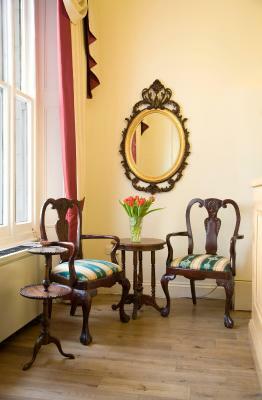 This hotel is very close to Paddington Station, the area has a good selection of shops and restaurants. A good hotel if you're just looking for a very basic hotel. I liked the vicinity to the centre. Good location for visiting museums and attractions. The staff was helpful enough to find us a taxi ride to and from the airport in afair price. 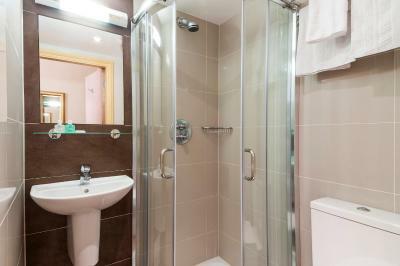 It was very convenient to Padding Station and Hyde Park and the room and bath were clean. My room did not face the street so was relatively quiet. Clean and comfortable room ,nice view and the service was good. The location is near train station, they have 24 hour front desk since we arrived at midnight and the concierge service is very helpful. 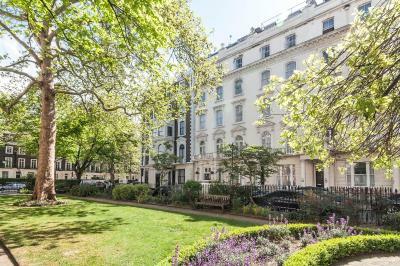 The location was so close to Paddington Station, beautiful neighborhood and in a great area for restaurants, pubs and coffee shops. 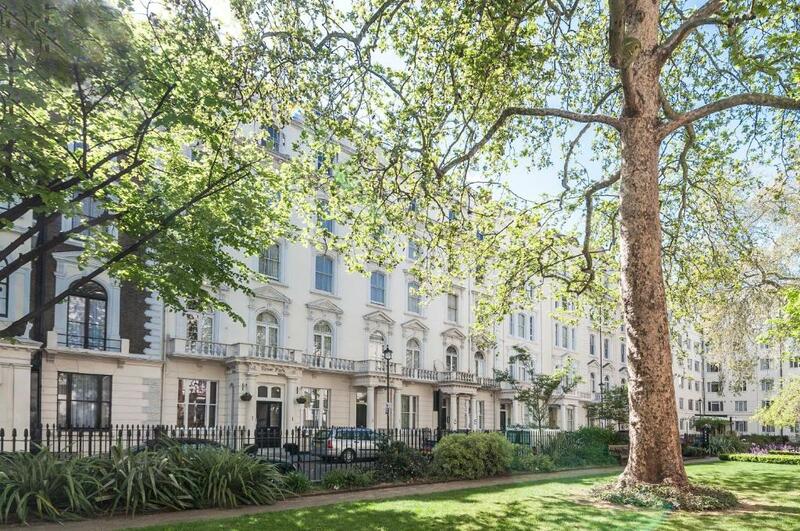 Close to Hyde Park. The room was small but clean and had instant coffeee, hair dryer and flat screen tv. If your out all day it is the perfect place to stay, a great value for a place to sleep. The location is excellent! About 20 min walking to the museums through Hyde Park. The site seeing busses have a stop just on the street behind. The staff is very helpful and polite. They gave us all support with busses, vouchers and so on. The rooms, besides be a little squeezed, is very comfortable and well cleaned. Perfect location. No frills, simple, basic, clean and small. Excellent value for what you pay. Stayed on the ground floor and one of the plus points was excellent water pressure and hot water in the shower. Naturally the ground floor is a bit noisy so perhaps not recommended for light sleepers (not a problem in my case). 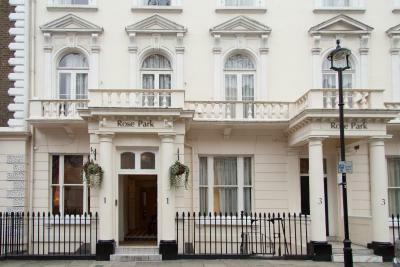 We stayed at the hotel, because it is right in the city, next to Hyde Park and a good starting place to explore London. It is in a nice neighborhood and though central very quiet. The room was clean, but small. 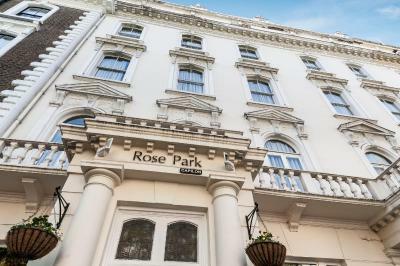 Rose Park Hotel This rating is a reflection of how the property compares to the industry standard when it comes to price, facilities and services available. It's based on a self-evaluation by the property. Use this rating to help choose your stay! 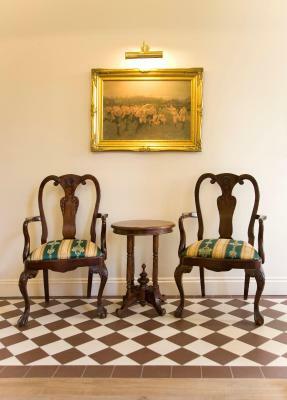 On a quiet garden square, The Rose Park Hotel offers free Wi-Fi, and 24-hour front desk. 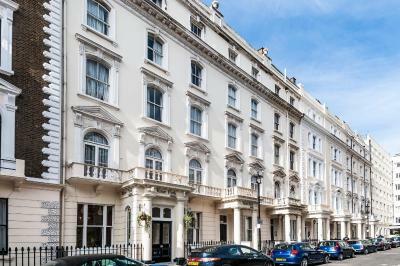 The hotel is a 5-minute walk from Paddington Station, just 1,650 feet from Hyde Park. The bedrooms each have a flat-screen TV and tea and coffee making facilities. 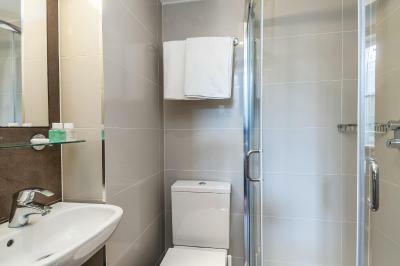 All rooms feature a private modern bathroom with a hairdryer and free toiletries provided. 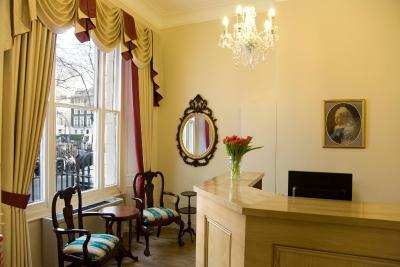 Set in a Victorian town house, The Rose Park Hotel is just a 15-minute walk from the lively shopping of Oxford Street. 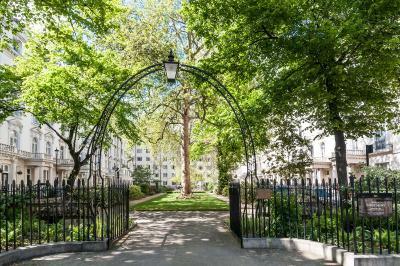 Lancaster Gate Underground Station is within a 5-minute walk. 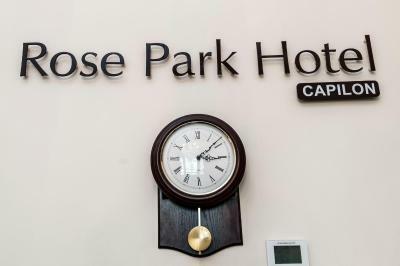 When would you like to stay at Rose Park Hotel? 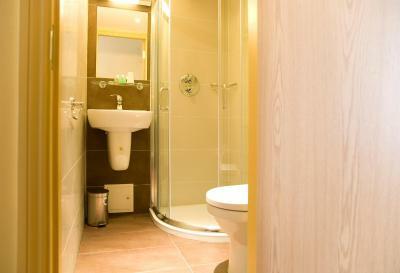 With an LCD flat-screen TV and air-conditioning, this room includes a private bathroom with a selection of toiletries. It also comes complete with tea and coffee making facilities. 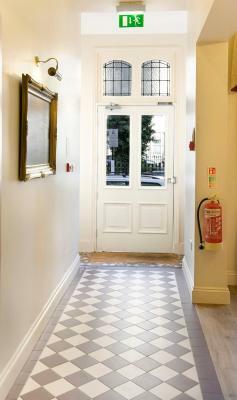 House Rules Rose Park Hotel takes special requests – add in the next step! Rose Park Hotel accepts these cards and reserves the right to temporarily hold an amount prior to arrival. Everything starting from staff to the room facility were not up to standard. We were a 5 members family and our room was on the 5th floor and we need to step up one floor and pass a maze stair. Great locations, close Paddington Station. Lift was not working in the hotel....and the electric sockets were not working in our room...had to go to the reception every time to charge our PHN...that was inconvenient for us.rest all was good. Just needs a little more attention to the small things. Duvet was thin but could have done with an extra blanket in the room. A hand towel in the bathroom would have been nice too. Lift service was under maintenance. Our room located at 4th floor. We had to carry our bags all the way. Plus, the room was very small. Its not value for money. The twin room had seperate beds, so me and my gf had to sleep with this small space between us. The hotel was easily found, very cozy for a short stay and had everything we needed. Lovely staff too! The rooms were small for families but adequate for short stays up to five days. Renovation is needed but was happening while we were there.